From offering a welcome to the first resettled Syrian family in England to being home to the first English football team to win the treble, there’s much to be proud of in my constituency – not least our place in history as the birthplace of the NHS. Park Hospital Manchester (today known as Trafford General Hospital) became the very first NHS hospital, opened by health minister Nye Bevan on 5th July 1948 when 13-year-old Sylvia Beckingham was the first patient to be admitted. Free at the point of delivery, bringing together services under one organisation, the NHS represents a visionary commitment to social justice, providing a vital service throughout all our lives. I couldn’t be prouder to be the Labour MP for Stretford and Urmston, a constituency where history was made. But it’s not just the 70th birthday of the NHS that we celebrate this year. We also mark the 70th anniversary of the arrival of the Empire Windrush, bringing desperately needed Commonwealth workers to help remake Britain after the devastation of the second world war. Many of those passengers, and those who arrived after them, made their home in Manchester, in my constituency. Many too went on to join the NHS, providing crucial care at a time when Britain desperately needed a healthcare workforce to staff our new creation. As we celebrate and thank the porters, cleaners, administrators, scientists, managers, healthcare specialists, paramedics, nurses and doctors who serve the NHS today, we can acknowledge that the Windrush generation and the NHS are inextricably linked. Today the NHS in England employs around 1.2 million people in total. It remains a truly international workforce, and the biggest employer of people from a BME background in Europe, with one-in-five of the workforce from a BME background. NHS staff in clinical roles are more likely come from abroad. A report from Global Future states: “several specialities which deal with some of the most serious and life-threatening health problems are significantly reliant on foreign doctors. 45% of cardio-thoracic surgeons, 45% of paediatric cardiologists, 41% of neurosurgeons in the NHS are from outside the UK”. That’s why, as we celebrate the anniversary of the NHS, I applaud the campaigns that have led to the new Home Secretary’s decision to exclude foreign medics from the skilled migration cap. It’s why I argue that closing our borders to all but a handful of foreign workers would damage our ability to provide the world-class healthcare our NHS is renowned for. It is vital that the NHS has the personnel needed at every level in order to function as the service it was designed to be, and for that, as well as training nurses and doctors here in the UK, it needs to be able to recruit from all over the world. Bevan said: “The NHS will last as long as there are folk left with faith to fight for it.” If we are to celebrate another 70 years of the NHS, we need to keep equipping and speaking up for this deeply loved service, and to welcome all who come to work in it. 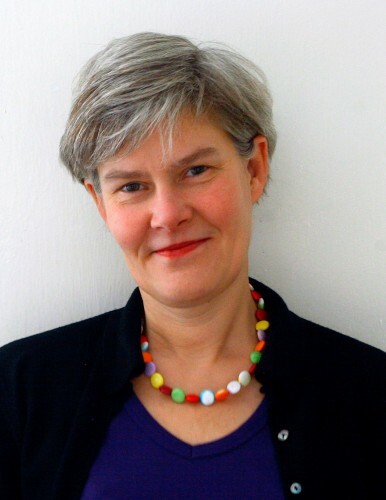 Kate Green is the Labour MP for Stretford and Urmston.